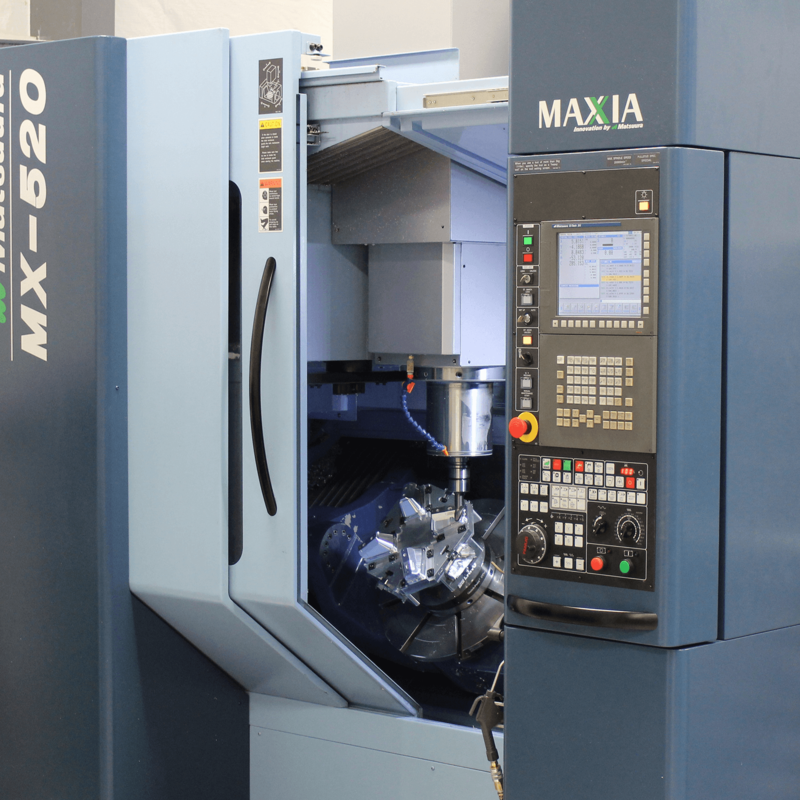 Traditional CNC machines typically work with 3 primary axes (X, Y, and Z) and can effectively create basic objects with very straightforward angles and dimensions. But what if your project or specific part design requires more complex compound shapes or angles in order to work? 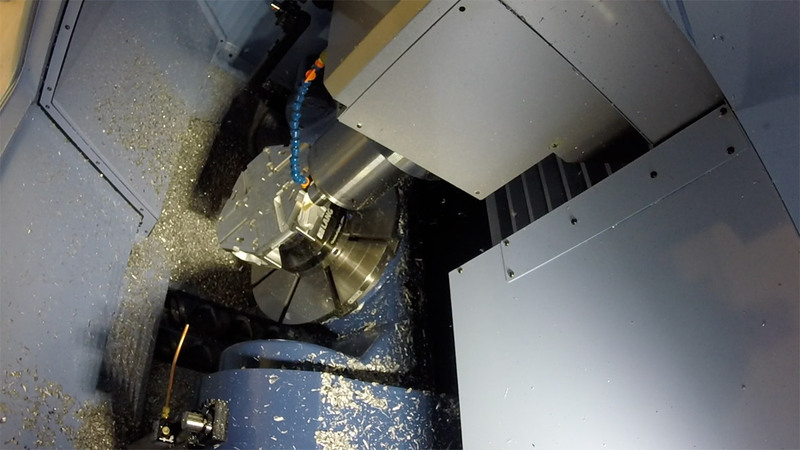 That’s where 5-axis machining comes in. 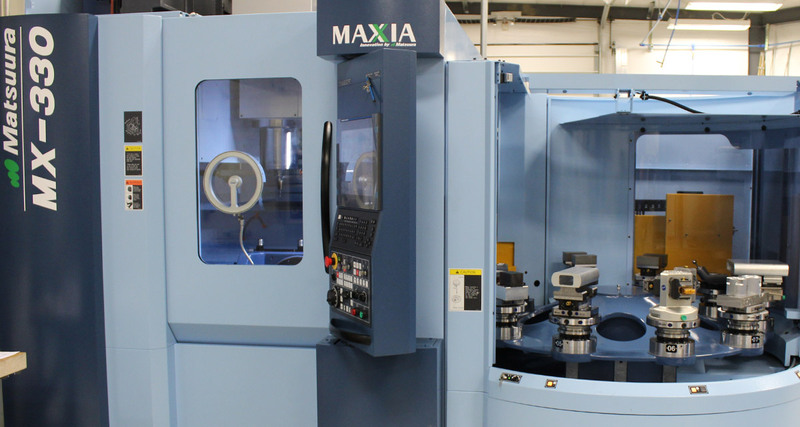 Most parts can be machined in a single setup versus multiple setups and operations. This reduces cycle time and also increases the accuracy and quality of the part. Close tolerance, highly contoured surfaces are easier to machine because smaller diameter cutters can be used to produce fine details that would be difficult or impossible to achieve on a standard 3-axis machine. This ability to use shorter end mills reduces cutter deflection for increased accuracy on complex surfaces and also allows for faster stock removal during rough machining. Holes and/or features that must be at compound angles to each other are easily and quickly machined with 5-axis CNC machining. 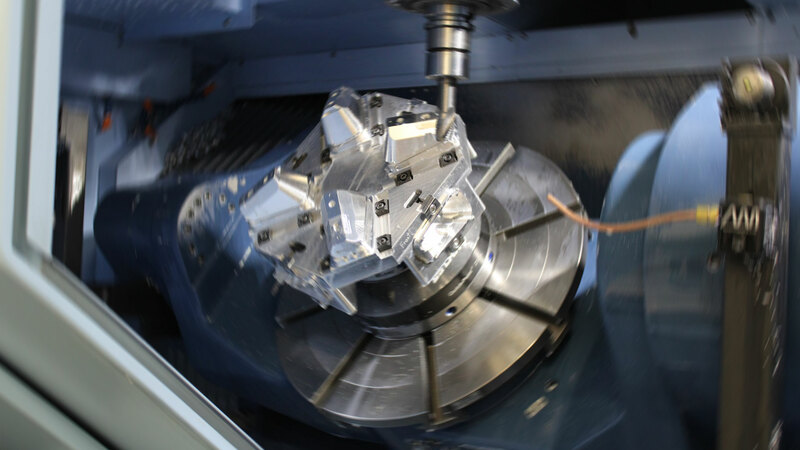 On a standard 3-axis machine, multiple setups would be required to handle these complex details and can take hours. Mass production is no problem. Our 5-axis pallet system provides flexibility to have multiple parts running simultaneously, and also allows us the flexibility to satisfy our customer delivery demands. The rotating pallet loader means that we can continue working even when everyone has gone home for the day: we’re able to load our pallet pool with the raw materials to be machined, then set up the data for the parts it needs to produce, and it will continue to run uninterrupted all by itself. 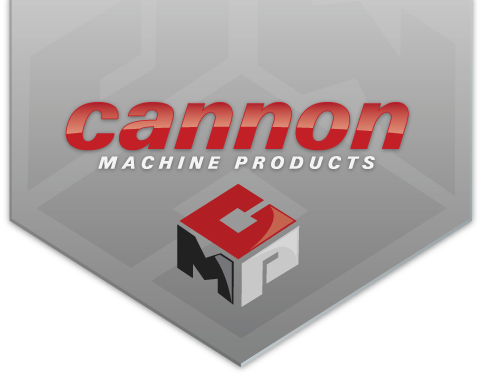 This means that we can produce the parts you need with much quicker turnaround than many other CNC machining shops.